Those are the words of Dmitri Orschanow, the central character in Isabelle Eberhardt's little known autobiographival novel Vagabond and my header photo shows the quayside and soothing sea at Marseille. Isabelle Eberhardt was a cultural explorer, Sufi adept and libertine. It is no coincidence that the narrator in her autobiographical novel is male because, as my October 2011 post recounted, from an early age Isabelle experimented with cross-dressing. For most of her extensive travels she wore male Arab clothing and assumed the identity of a man, a disguise that almost certainly went beyond the need for security in Muslim countries. Like Isabelle, Orschanow stayed in Marseilles en route for North Africa and the quays of the Old Port form the backdrop for several of the scenes in Vagabond. Those quays are also the backdrop to the photo above which I took it in December last year. I had just finished re-reading Vagabond over steaks frites and local vin rouge in the Brasserie Le Quai; this is next door to the Hôtel Beauvau where Isabelle stayed before leaving Marseille for the Maghreb in 1899. 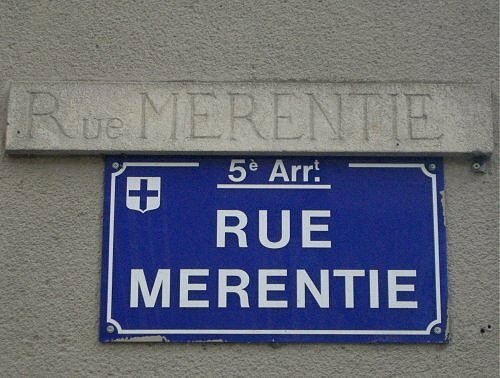 Below is a backstreet in the Panier, or Old Town. I had been in Paris with Titi Robin, in Le Barroux with the Benedictines, in Avignon with Les Pénitents Noirs, and then travelled south to be with Isabelle Eberhardt in Marseille. More than a hundred years ago the city was the gateway to the Maghreb. But for the population of the former French colonies of Tunisia, Algeria and Morocco, Marseille is the now the gateway to Europe. And for many that gateway is locked by EU visa requirements. Since 1998 more than 17,000 people fleeing from poverty and repression in North Africa have died attempting to cross the Mediterranean illegally, making the landlocked sea the biggest mass burial site in history. 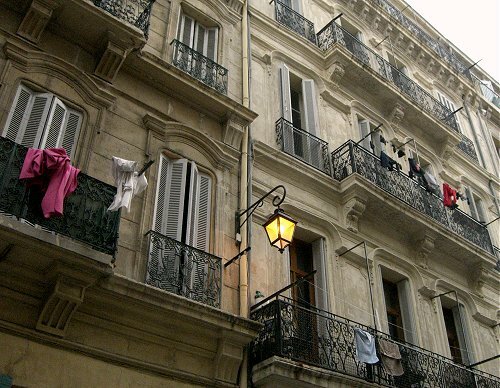 Some illegals survive the journey and finally arrive in Europe's most ethnically diverse city, Marseille. Marseille is not a popular tourist destination despite being France's second biggest city and located in the sunny south. But it is well known as a centre of organised crime thanks in large part to the film The French Connection. 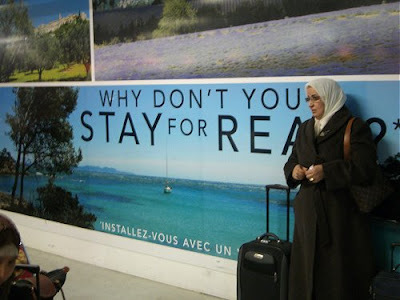 Which means the tourists stay away and miss a resident cast of Senegalese, Berbers, Tuaregs, Sephardic Jews and migrants from Greece, Italy and Spain that could grace any movie. Above is a scene at Marseille Provence airport which has many flights to the Maghreb. 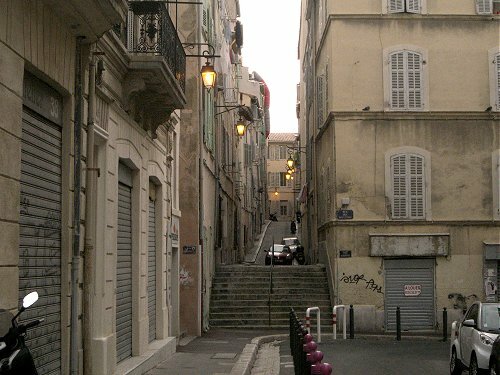 Like any big city Marseille can be scary and when I first visited in 1971 it was very scary indeed - back then my cheap hotel in the notorious area near the Gare Saint Charles was protected at night by a large guard and an even larger Alsatian dog sleeping across the entrance. But I have been back many times and despite walking the streets on my own at night, see photo above, I have been struck by nothing more than the sheer electricity of the place - below is some of the local street art. 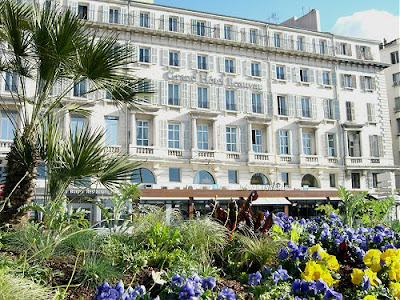 We know the details of three different addresses in Marseille that Isabelle Eberhardt stayed in during her short life. In 1899 she booked in to the Hôtel Beauvau on the harbourfront before sailing for Tunis. Today the Hôtel is owned by a major hotel group and a room with a terrasse panoramique costs 639 € ($816) a night plus buffet breakfast at 21.00 € ($27), which is rather out of this blogger's price range. So I simply took the photo below as a reminder of what I missed. 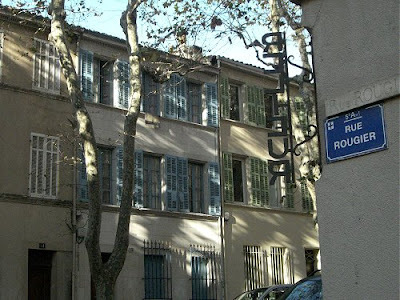 A short distance away from the Hôtel Beauvau is 67 rue Grignan where Isabelle stayed with her Algerian husband Slimène when he arrived in France in 1901. 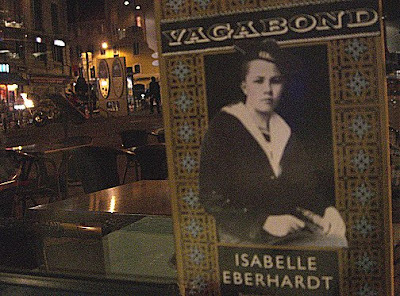 The rue Grignan is now part of Marseille's commercial centre and has changed beyond recognition over the years, but well back from the waterfront there is a more tangible link with Isabelle Eberhardt. In her invaluable biography Annette Kobak describes how Isabelle Eberhardt stayed several times in the house of her brother Augustin at 12 rue Merentie. This is at the top of the steep hill that the main street of the Old Town, the Canebière, climbs as it leads away from the harbour and, by chance, was close to the apartment I was staying in. Annette Kobak describes how Isabelle stood looking out of the barred sitting-room window on to the peeling plane trees lining the small residential street. That is 12 rue Merentie in my photo below, and it has changed little since Isabelle left in 1901 en route for North Africa, where she was to die three years later at the age of just twenty-seven. Despite her family having no direct connections with Islam, Isabelle Eberhardt was convinced she had been born a Muslim. She was deeply interested in esoteric mysticism and in Algeria was made an initiate of the Qadiri brotherhood, one of the oldest Sufi orders; this was an unprecedented honour for a European yet alone a European woman. Isabelle Eberhardt was a pioneering feminist and the Eternal Feminine was a sub-text to my road trip to Marseille. 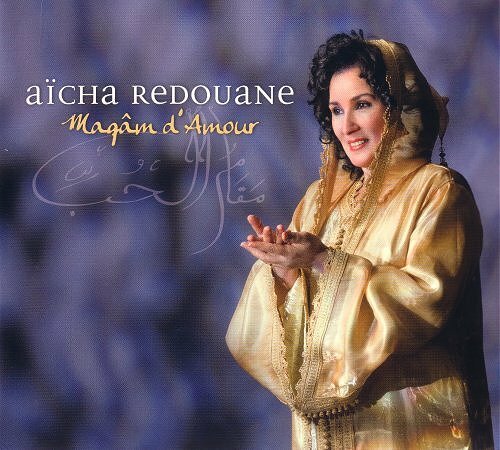 Which meant that on my iPod was Aïcha Redouane singing her own settings titled Maqâm d'Amour (World of Love) of poems by the 8th century female Sufi saint Rabi`a Al-`Adawiyya . Aïcha Redouane was born a Berber in the High Atlas region of Morocco and studied music in Egypt before settling in France. She formed the Al-Adwar Ensemble with her husband the Lebanese persussionist Habib Yammine and they accompany her on the disc. Rabi`a Al-`Adawiyya was the first proponent of the doctrine of Divine Love, a concept that transcends Islam and is at the heart of all monotheistic and polytheistic religions. I do not know if Isabelle Eberhardt was familiar with the verse of Rabi`a Al-`Adawiyya, but I somehow think the late 19th century action woman would have appreciated this poem by the Sufi saint. * Song from the Uproar: the Lives and Deaths of Isabelle Eberhardt with music by Missy Mazzoli, films by Stephen Taylor and directed by Gia Forakis opens at The Kitchen. 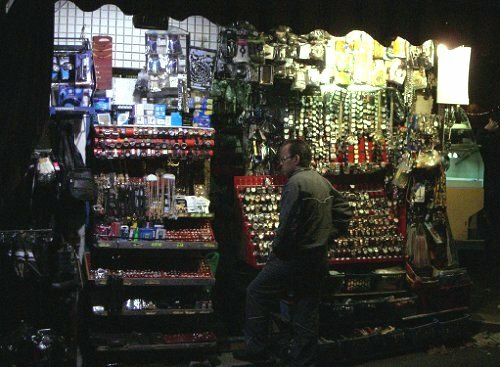 512 West 19th Street, New York on February 24th 2012, more details here. * Montserrat Figueras and Jordi Savall's valedictory Mare Nostrum (Our Sea) is a celebration in music of the Mediterranean. The accompanying book contains two important essays, The Sea of Death - the Challenge of Immigration by Rossend Domènech and Revolt? Revolution? by Tahar Ben Jelloun. 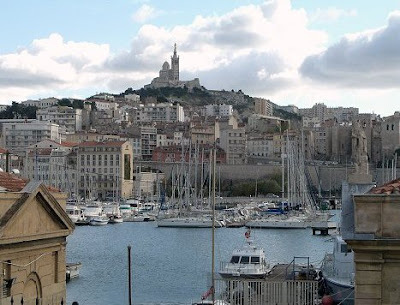 * Marseille is the Euroean City of Culture in 2013. * More on Algeria in Music and politics in the garden of Allah. All photos (c) On An Overgrown Path 2012. Any other copyrighted material on these pages is included as "fair use", for the purpose of study, review or critical analysis only, and will be removed at the request of copyright owner(s). I travelled by train from Norwich to Marseille and returned on a Ryanair flight to Stansted. My journey and this article were entirely self-financed. 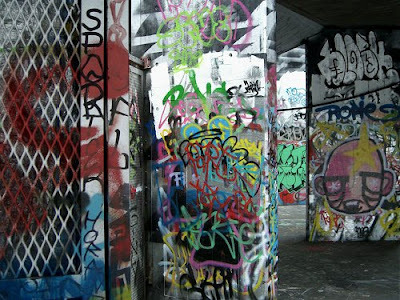 Report broken links, missing images and errors to - overgrownpath at hotmail dot co dot uk Also on Facebook and Twitter.